“Blessed and holy is he who has part in the first resurrection. Over such the second death has no power, but they shall be priests of God and of Christ, and shall reign with Him a thousand years.” (Rev. 20:6, Ibid.). “Then Death and Hades were cast into the lake of fire. This is the second death.” (Rev. 20:14, Ibid.). Thus, the Lord Jesus Christ Himself commanded those who want to be saved to enter the fold through Him, or to enter the Church of Christ, the Church He established. Apostle Paul testified that the Church is the body of Christ, and Christ is Himself the Savior of the Church. Apostle Paul further testified that Christ loved the Church and gave His life for it. Thus, it is true that the Lord Jesus Christ is the Savior and not the Church, but the Bible also testified that the Church is the one that will be saved by the Savior, the Lord Jesus Christ. The will of God is that all be gathered together in Christ, this is fulfilled when “all joined together to each other as different parts of one body,” thus, “though are many, we are one body in union with Christ.” The body referred to is the Church of Christ (cf. Col. 1:18; Romans 16:16). Thus, it’s the will of God that all be gathered together inside the true Church of Christ. The true Church is called after the name given by God, or called in name of Christ, the “Church of Christ.” How important is this name? The Bible said, “there is no other name under heaven given among men by which we must be saved.” How important it is that church you belong to called in the name of Christ or the name “Church of Christ”? The Bible further testified that “Salvation is found in no one else” (cf. Acts 4:12, NIV). These are the words of the Bible not ours. Truly, the Bible teaches that the Church of Christ is important in man’s salvation. The Church is not the Savior, the Lord Jesus Christ is, but the Church of Christ is the one that the Lord Jesus Christ will save come Judgment Day. judgements when it will happen? 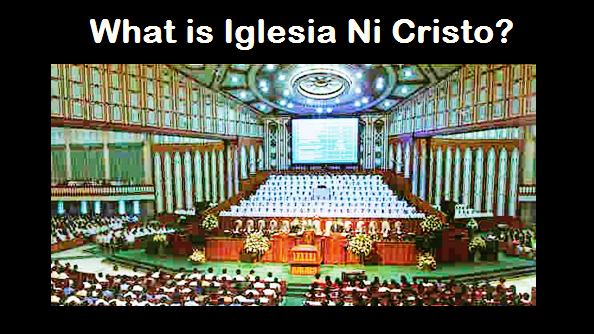 Thanks for posting your questions brother Thomas "Toto" Orcullo. There will be a separate article discussing the Judgment Day. It will be published soon.